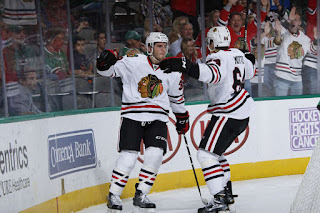 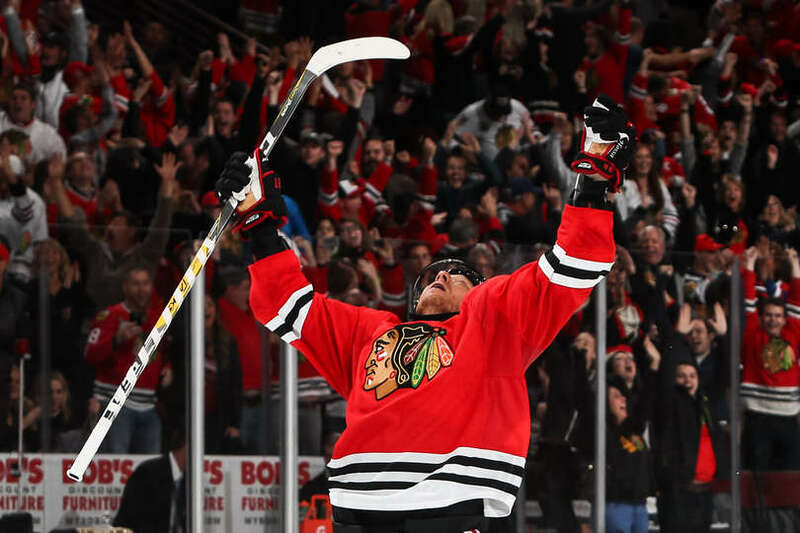 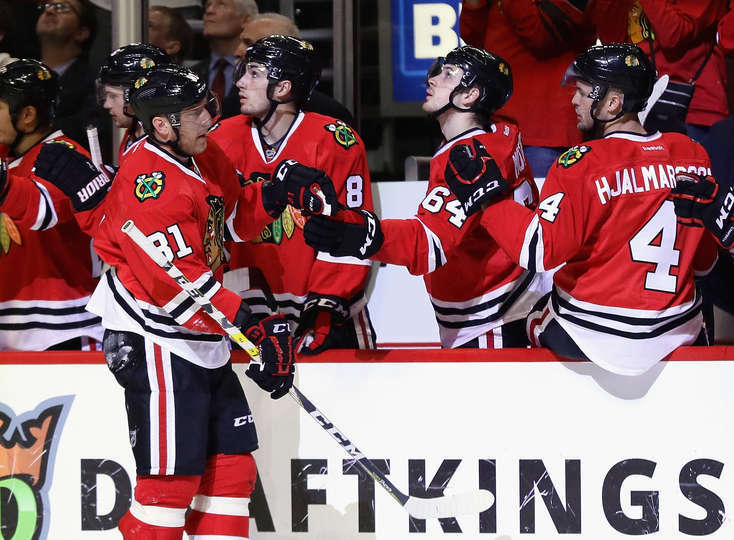 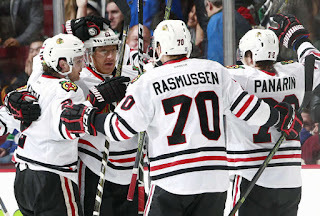 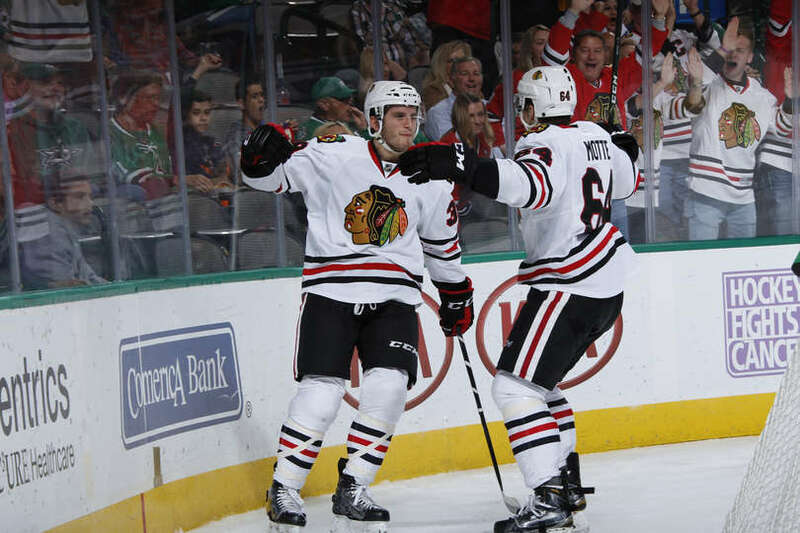 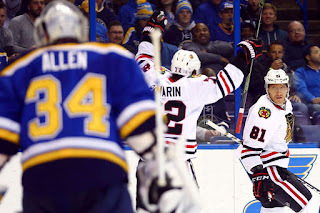 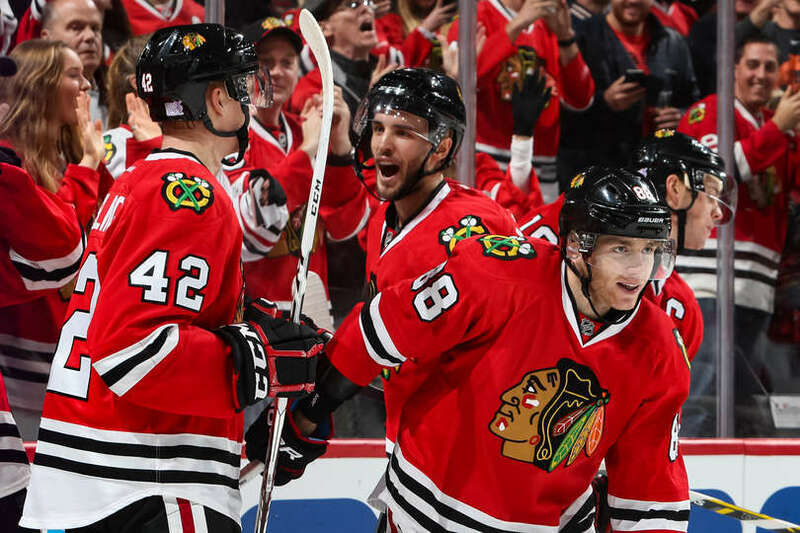 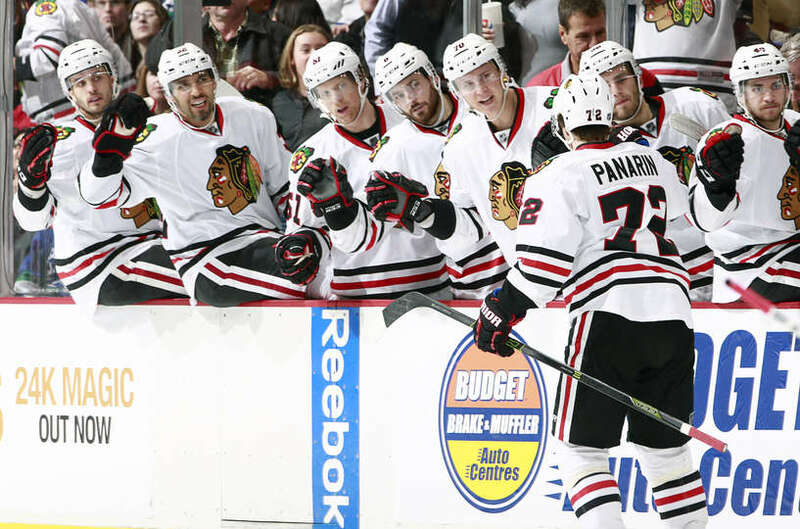 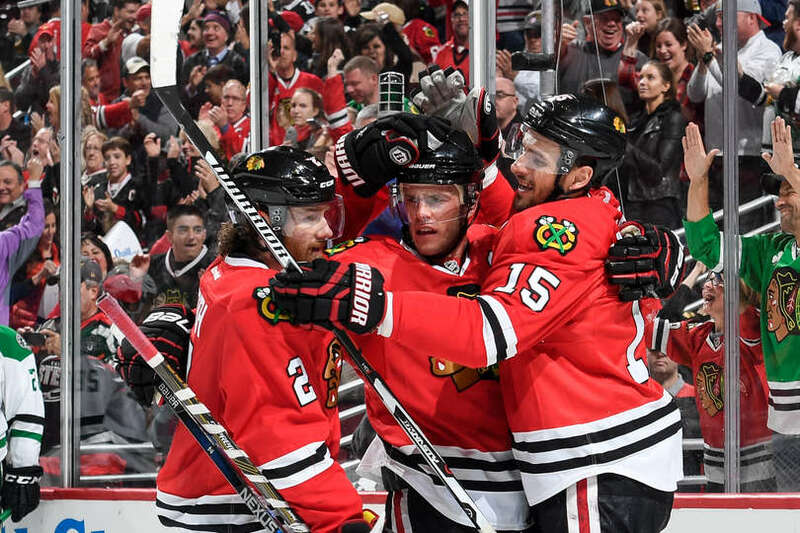 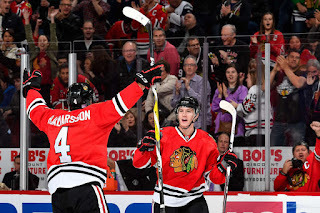 The Chicago Blackhawks entered tonight's game 6-1-1, after starting the season, 0-2-1. They had killed 12 of 13 penalties after starting the season killing just 9 of 23. Needless to say, the Hawks have started to hit their stride. With the first of four divisional games tonight, starting with the Colorado Avalanche, it couldn't come at a better time. Corey Crawford, once again, was the story as the Hawks shutout the Avs, 4-0 behind Crawford's 38 saves. 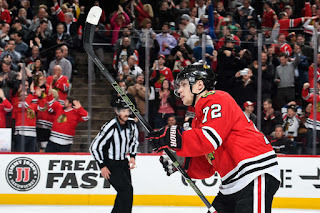 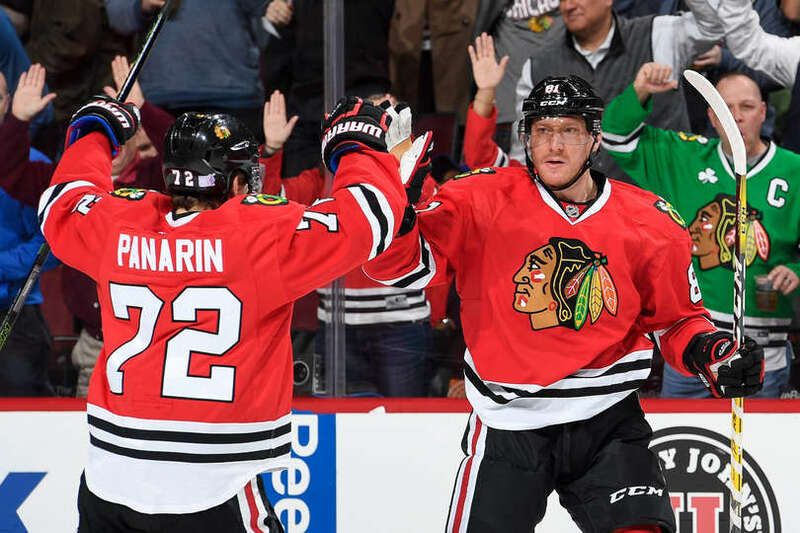 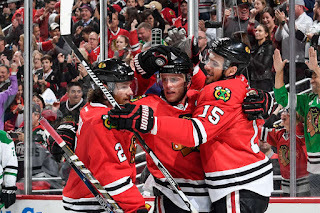 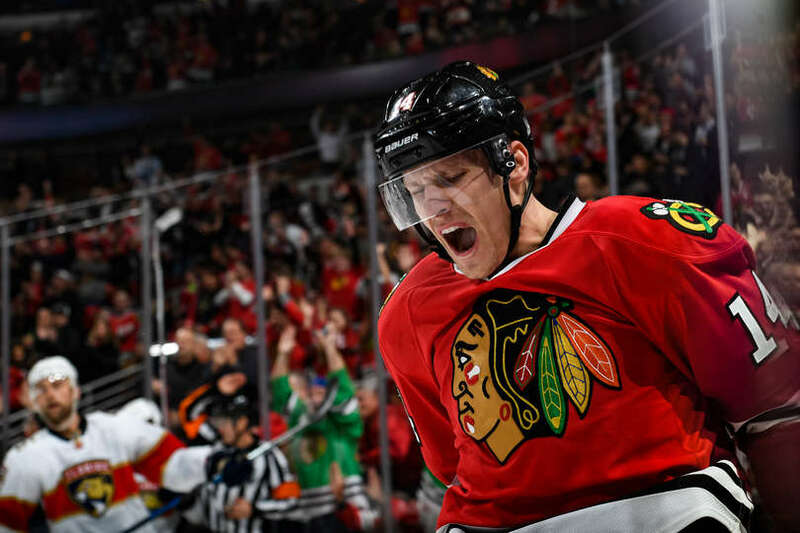 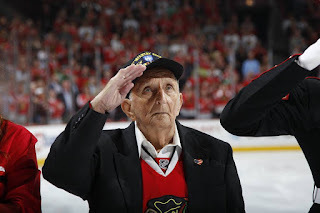 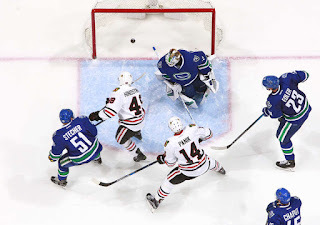 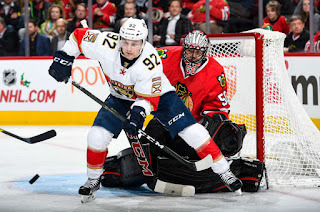 He needed to be strong early as he stopped 12 shots in the 1st period, before Jonathan Toews and Marian Hossa teamed up to score two quick goals :38 apart, to give the Hawks a lead after the 1st period, 2-0. 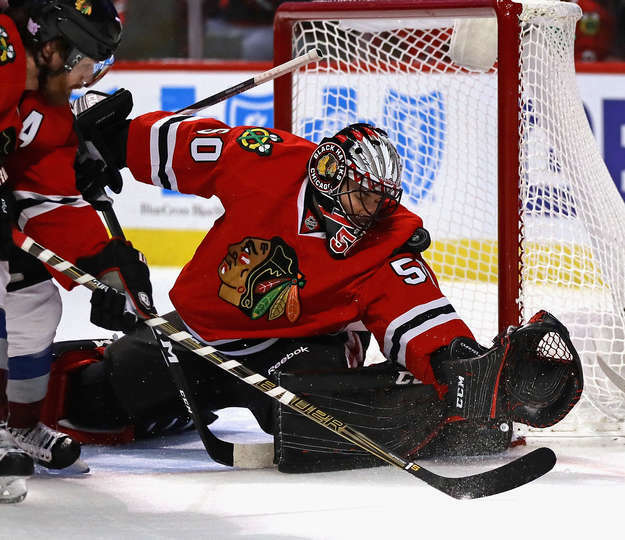 Colorado had the better play in the period, but Crawford kept them off the scoresheet early. 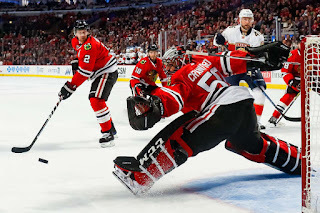 The second period saw Crawford come up with another 14 saves as the Avs peppered the Blackhawks net in a scoreless period. 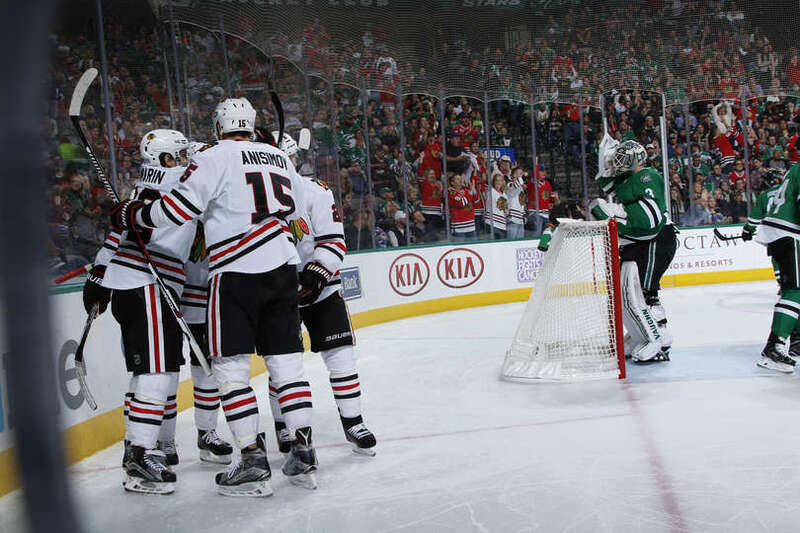 In the 3rd, Hossa struck for a second time from a stretch pass from Duncan Keith to extend the lead to 3-0. 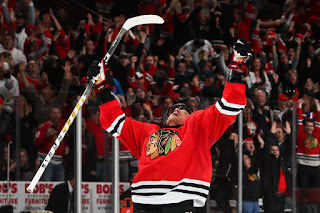 When Coach Joel Quenneville was asked about Hossa's play: "He never really looks like he's slowing down at any time." 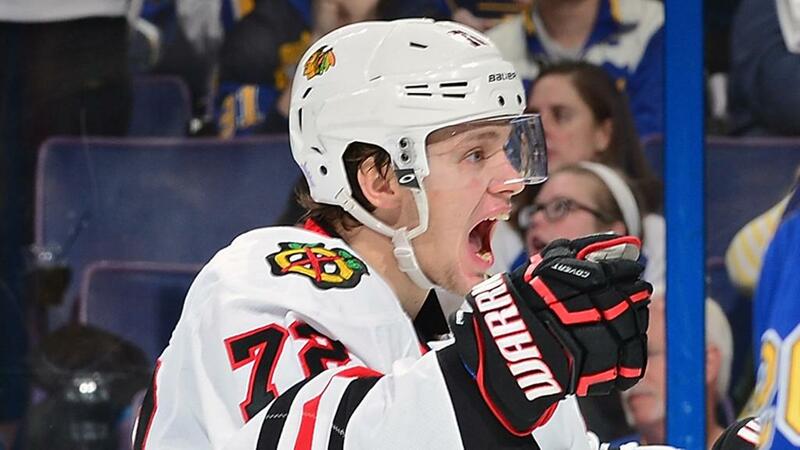 Artemi Panarin scored his 5th of the year from a feed from...wait for it...Patrick Kane to finish the scoring. 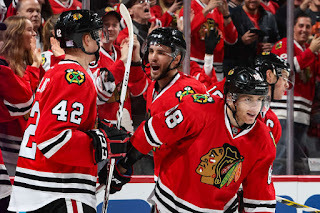 It was the Hawks' 4th straight win. 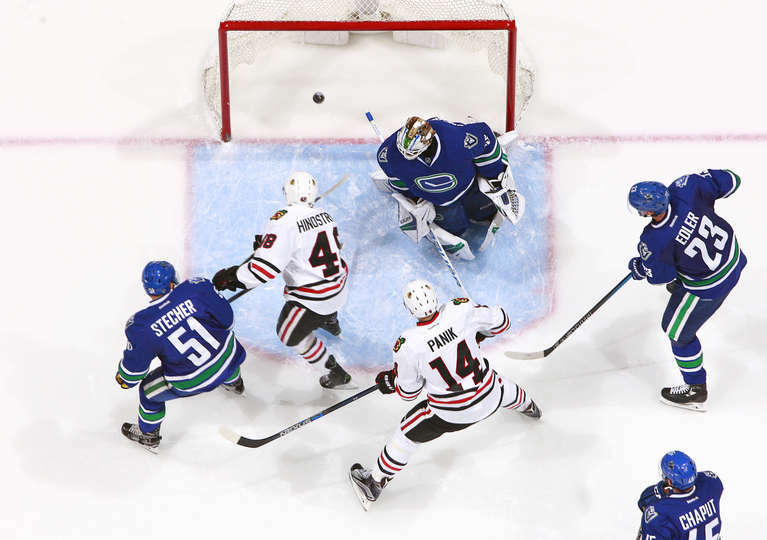 Coach Q knows that it hasn't been pretty: "We've had cleaner wins". 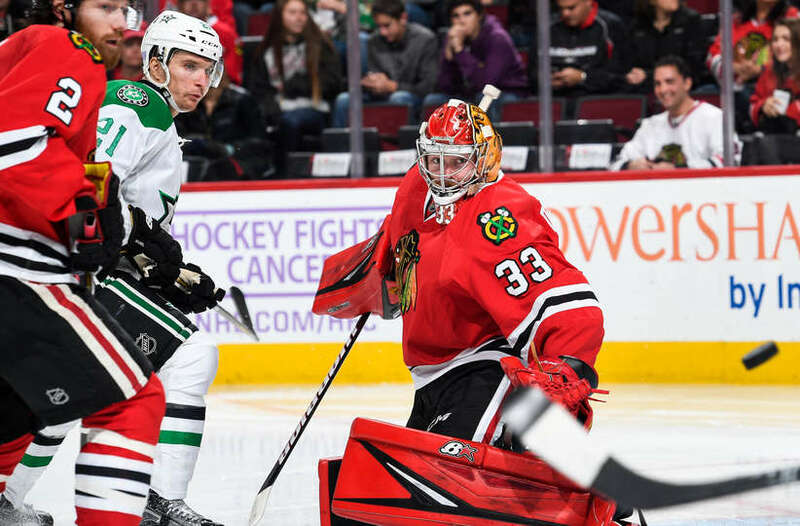 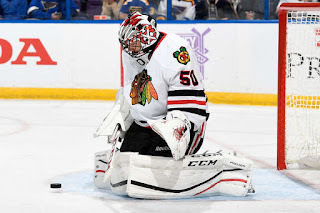 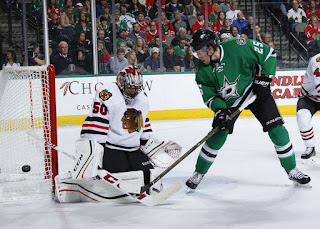 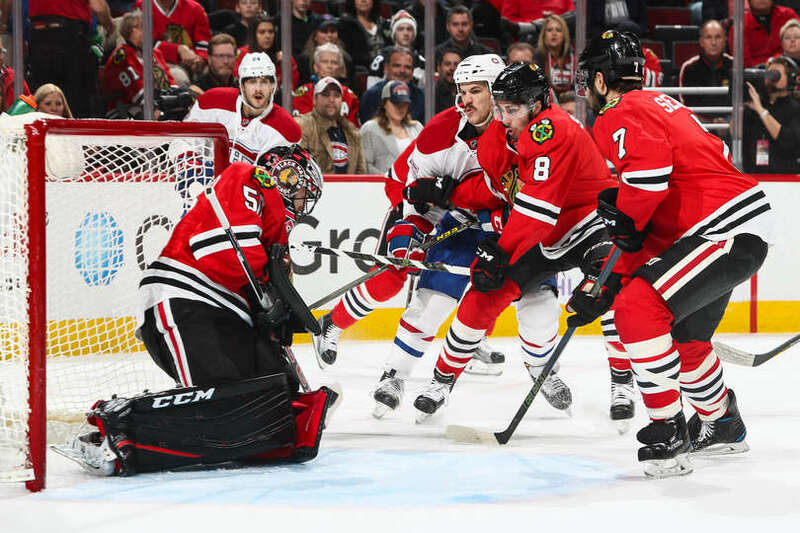 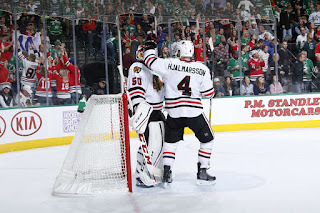 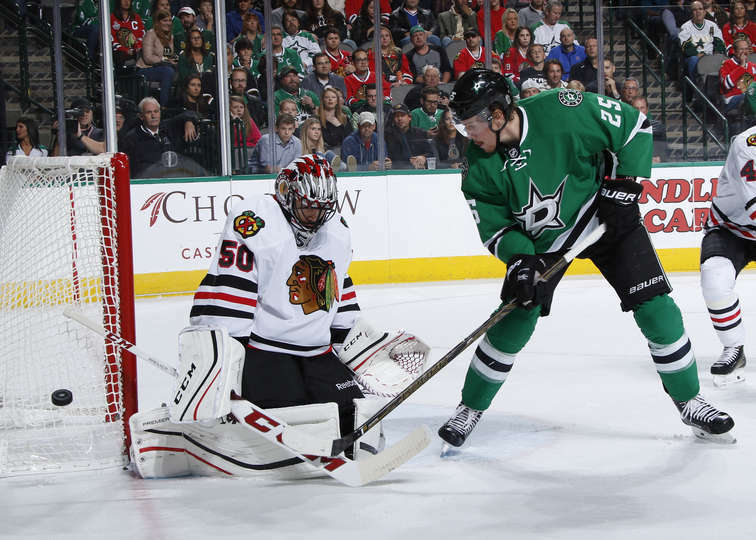 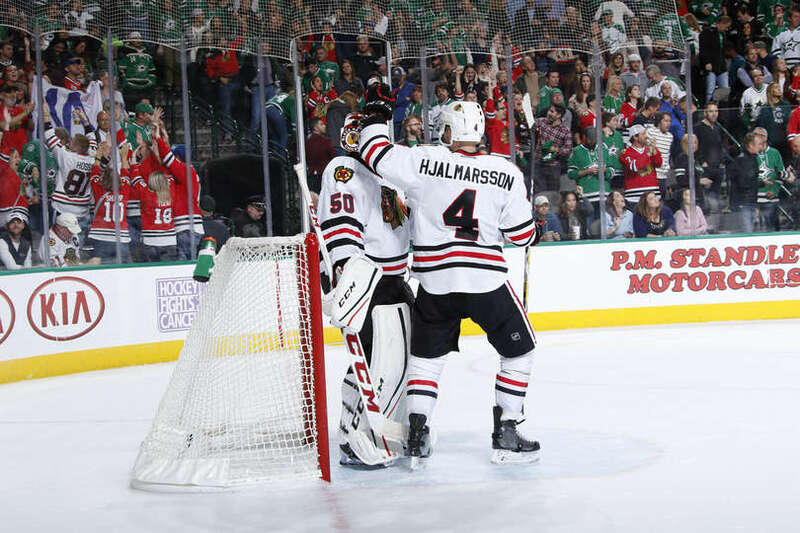 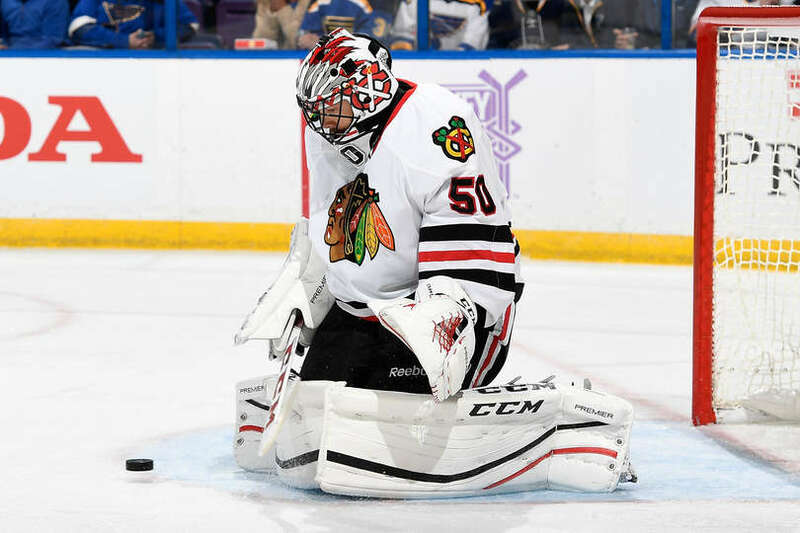 Notable Mentions: Crawford in his last 3 games: 3-0-0, .990 SV%, 0.33 GAA, 2 SO Artem Anisimov's assist on the first Blackhawks goal, extended his scoring streak to a career best, 9 games (7G 7A).